A Reuters report said FBI Director Robert Mueller made a one-day visit to Kenya last week. After meeting with the prime minister, Mueller was quoted as saying, "We discussed what could be described as the unhealthy climate of impunity here in Kenya and steps that can be taken to investigate and to prosecute public corruption." Perhaps looking for a reason for Mueller's visit, Reuters said Kenya is "sandwiched between the chaotic Horn of Africa and turbulent Great Lakes region [and] was the target of Al Qaeda-linked extremists who blew up the U.S. embassies in Kenya and in Tanzania in 1998." What's the connection between the corruption Mueller was talking about and the security concerns mentioned by Reuters? We haven't seen hard studies linking the two. But our eyes tell us that corruption breeds weak institutions that aren't dependable when it comes to the fight against terrorism. So does that explain why the FBI director was in Kenya last week? Was he there to urge the government to clean itself up or risk becoming a haven for extremists? We don't know the answer. But knowing John Githongo's story, it's easy to see why Kenya's corruption might be a special concern to Mueller. Here's what happened. In December 2002, Kenya's new president, Mwai Kibaki, said he'd end corruption. And when he needed someone to lead the fight, he picked John Githongo (pictured above). Named permanent secretary for ethics and governance in the office of the president, Githongo, then 37, was a perfect choice. He was a popular journalist, a passionate anti-corruption crusader, and founder and head of Transparency International's Kenya office since 1999. It all looked good. But then came the so-called Anglo Leasing Finance scandal -- or Kenya's Watergate, as many called it. The government in 2002 had said it wanted to update the way it printed and tracked its passports. Everything would be new and high-tech. A French company was found for the job, at a price of €6 million. But the contract went instead to an unknown U.K. company called Anglo Leasing Finance, at a price of €30 million. There was no public tender and the story only leaked to the press because of a junior civil servant. Githongo grabbed the investigation. Two years later, he'd uncovered about twenty government contracts awarded to phantom overseas companies at inflated prices, signaling the presence of high-level corruption. And most of the tainted contracts related to Kenya's security apparatus -- passport controls, forensic labs, security vehicles and satellite services, among others. He wrote a report and delivered it to the president in November 2005. (A copy, later leaked to the public, can be downloaded here.) Soon after, he left Kenya for England, fearing for his safety. From his exile in the U.K., Githongo publicly blew the whistle on Kenya's top politicians. President Kibaki was forced to fire three ministers -- though he reappointed two of them a year and half later. 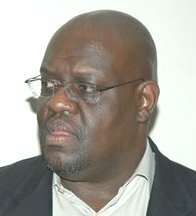 Appointed within days of the opposition's election victory in the 2002 polls, Githongo spent two years as permanent secretary for ethics and governance. When he fled to London last year, it was clear he had stumbled on something toxic. His 36-page dossier . . . reveals what that was. In compelling detail -- Githongo was always fastidious about keeping a diary -- he records what he alleges were his conversations with Kenya's vice-president and three ministers, who confess their roles in concealing a series of bogus contracts designed to leach hundreds of millions of dollars from the exchequer. . . . In July 2007, Britain's Serious Fraud Office opened a criminal investigation. It was looking into contracts between the Kenyan government and "business entities collectively known as the Anglo Leasing matter." With help from the City of London Police, in May 2008 private and business addresses in the U.K. were searched. Documents seized in the raids led the SFO to ask for and receive evidence from Spain, France and Switzerland. But Kenya refused to cooperate, and without its help, the SFO said it couldn't make a case. On February 4, 2009, the SFO ended its investigation into Anglo Leasing Finance. Its announcement is here. A month later, FBI director Mueller was in Nairobi, talking about Kenya's "unhealthy climate of impunity." Was Mueller perhaps telling the country's leaders that the FBI will pick up the case where the Serious Fraud Office left off, just as it did with BAE Systems? Did the director tell the Kenyan prime minister that the FBI and Justice Department will use the Foreign Corrupt Practices Act to pursue the people behind Anglo Leasing Finance and phantom companies like it? Did he explain that when that happens, Kenya's crooked politicians will be named and shamed on the global stage? In tilting against graft, Mr. Githongo seems to be positioning himself across a far broader front, part of a generational shift among Africans burdened by what he calls the ancestral ties between urban homes and rural roots that bind and, in his view, stymie much of the continent. . . . That has to change, he says. 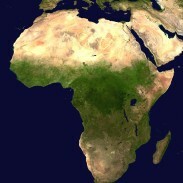 "Africa has been left behind by Asia and the others. We need to get our act together." Maybe Kenya's exiled anti-corruption czar is about to get some badly needed help. This time from the FBI and the Foreign Corrupt Practices Act. Michela Wrong's book about John Githongo and the Anglo Leasing Finance scandal was published last month. It's Our Turn to Eat: The Story of a Kenyan Whistleblower is available from Amazon (UK) here.